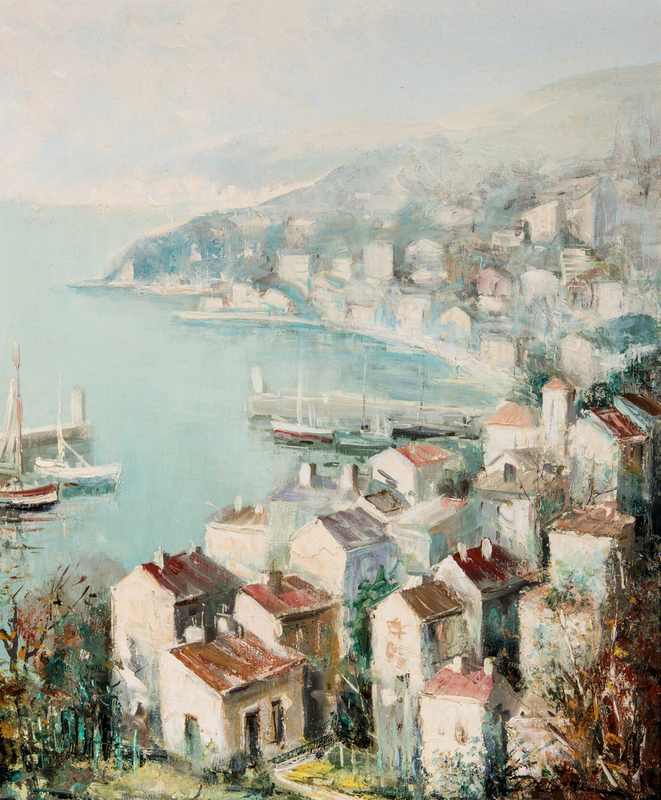 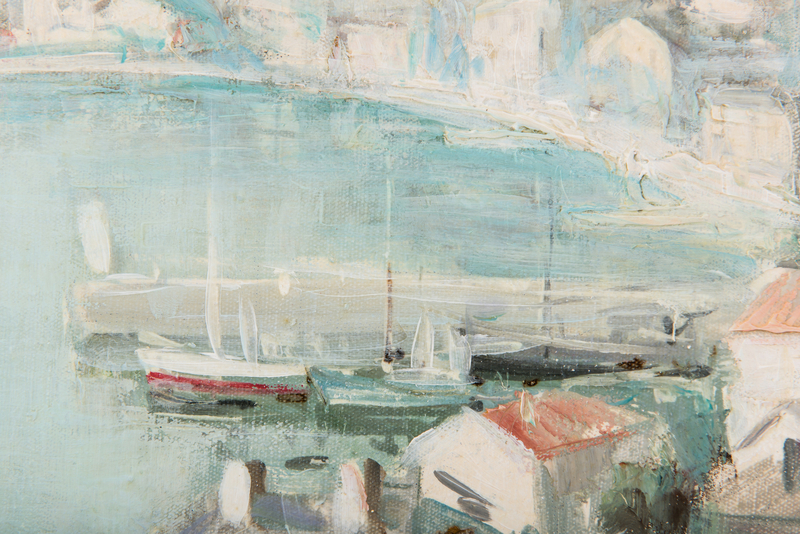 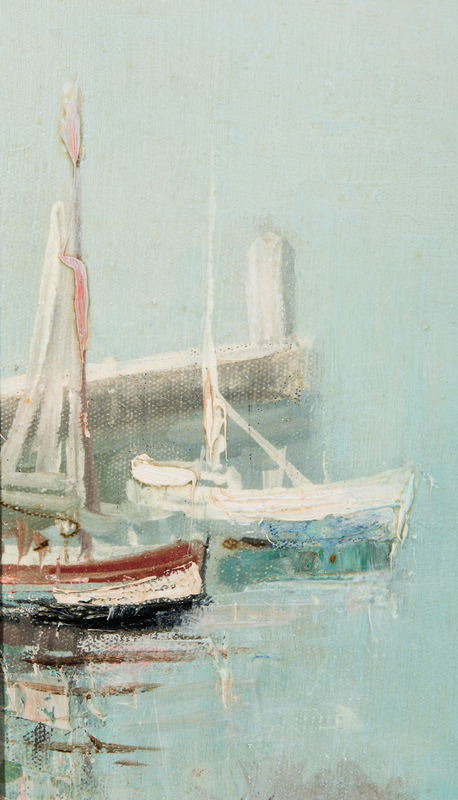 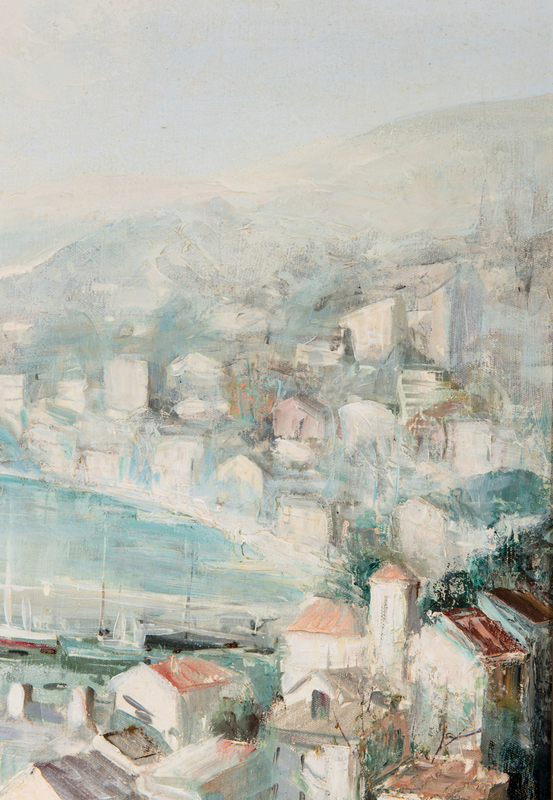 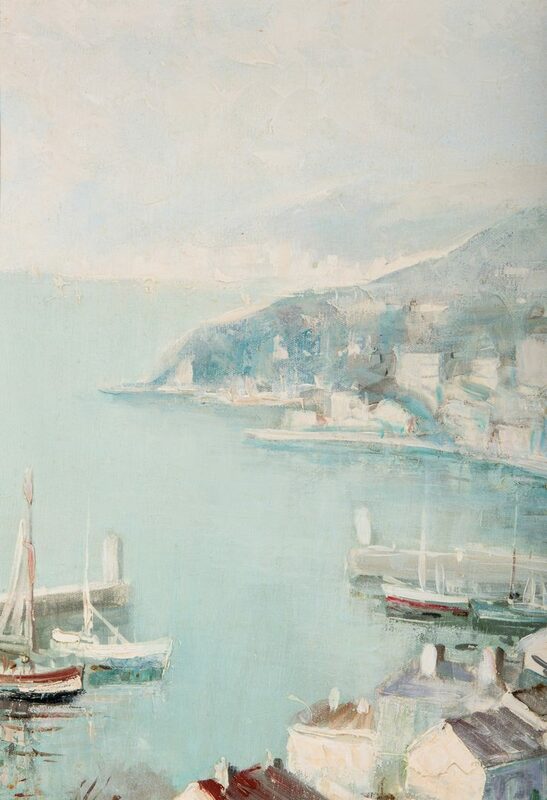 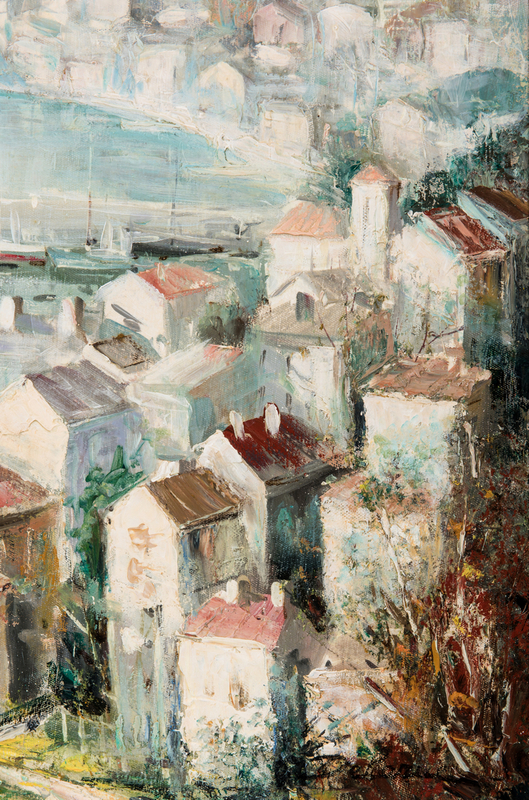 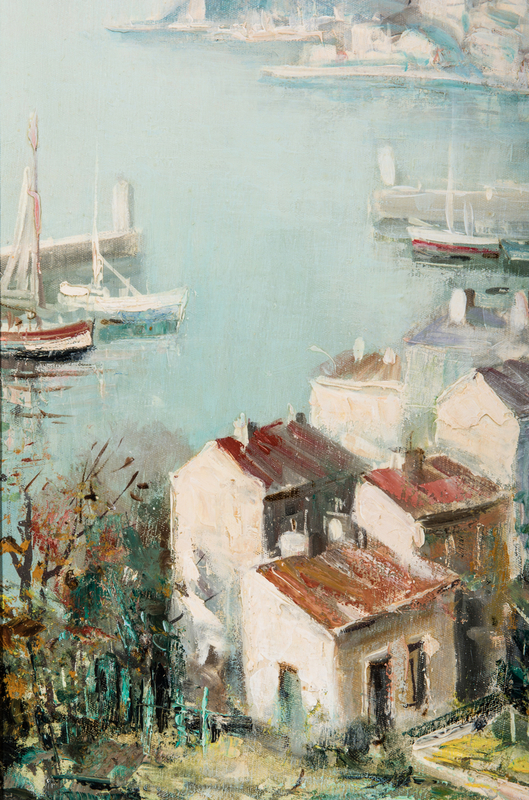 Lot 341: Lucien Delarue Oil, "Porte d'Eze"
You are here: Home >> July 14, 2018 Historic Summer Fine Art and Antiques Auction >> Lot 341: Lucien Delarue Oil, "Porte d'Eze"
Lucien Delarue (France, 1925-2011) oil on linen painting depicting a coastal village on the French Riviera with several boats in the harbor. Signed "Delarue" lower right. Housed in a giltwood frame. 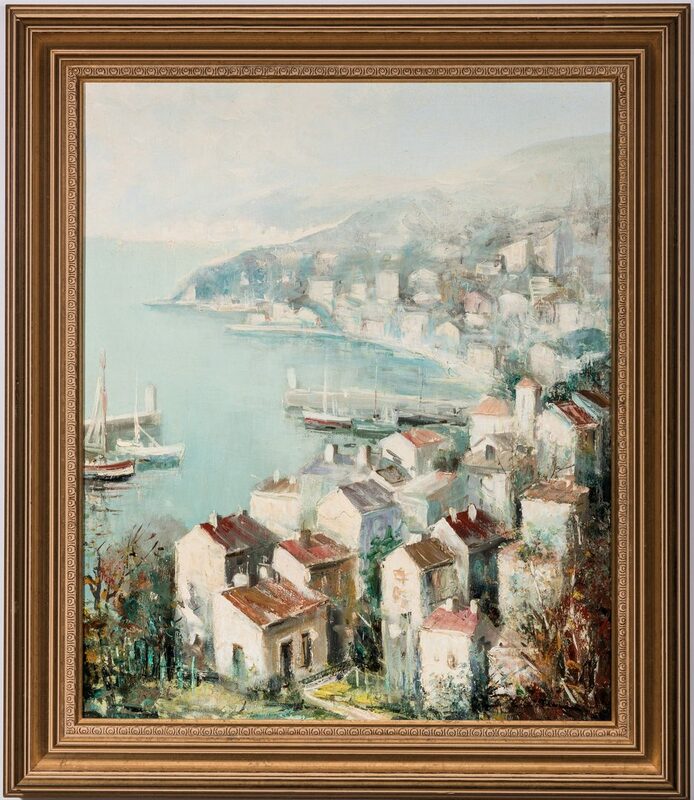 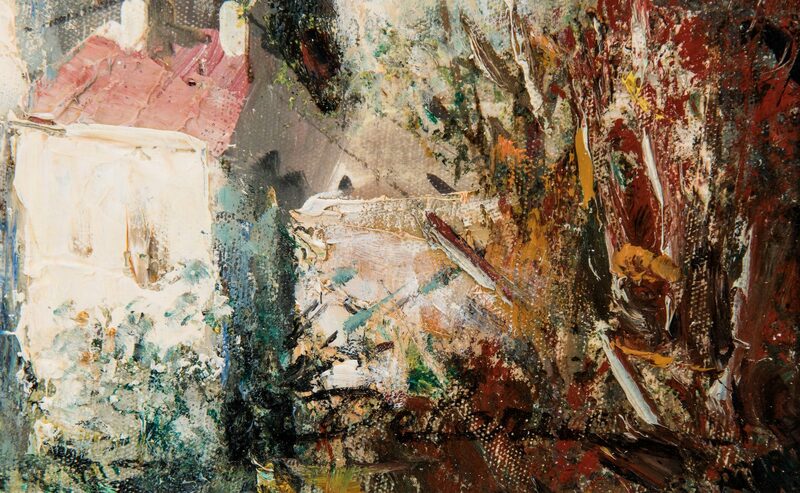 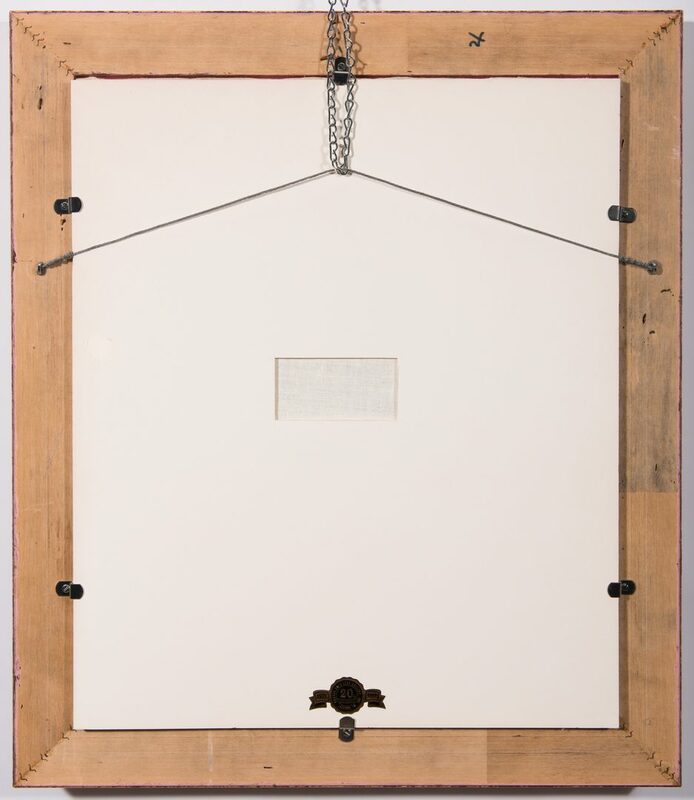 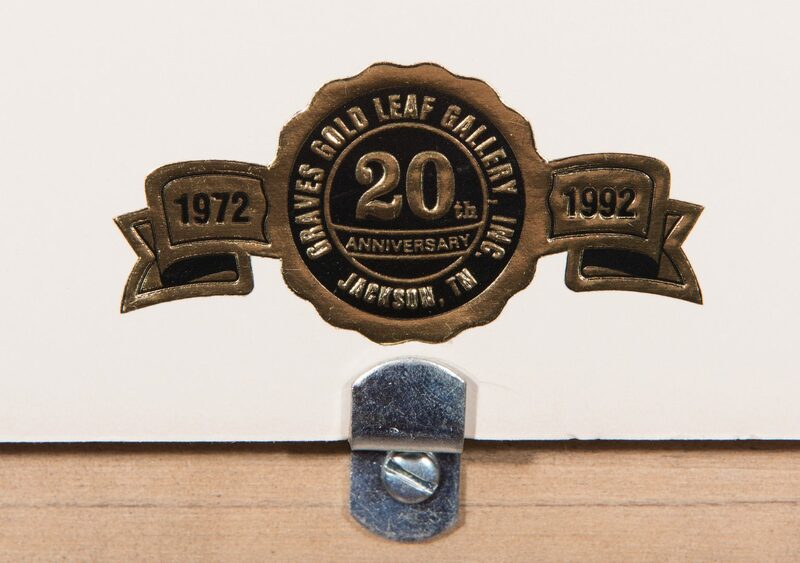 Sight – 21" H x 17 1/2" W. Framed – 26" H x 22 1/2" W. Provenance: The Estate of Larry Casey, Jackson, Tennessee. Originally on display at the James M. Haney Gallery in Amarillo, TX. 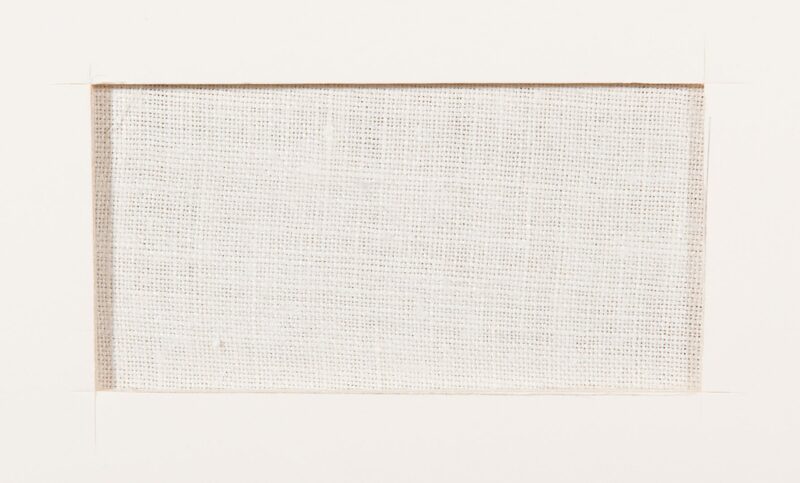 CONDITION: Overall excellent condition.